Often, when somebody thinks of children, they envision them playing at a park with friends or perhaps eagerly learning in school. It might not be often that people think of or realize that children are struggling with behavioral, emotional or developmental disorders — and even less often are people aware that help and support is not typically readily available for these children and their families. Thankfully, in San Diego County, there is the San Diego Center for Children that focuses on exactly that — to protect the joy of childhood, prevent emotional suffering, and to incite change by inspiring a world where all children and families live joyful, healthy lives. The San Diego Center for Children, the oldest nonprofit for children in San Diego, opened in 1887 and is celebrating their 130th anniversary this year. Currently, the center has a total of eight program sites and also offers community-based services in hundreds of homes all throughout San Diego County. With such county-wide coverage, the San Diego Center for Children touches the lives of nearly 1,000 children every day. The newest location, the Family Wellness Center in La Mesa, is an outpatient center that focuses on a holistic approach and offers therapeutic programs that have been approved by accrediting agency the Joint Commission. Beyond its therapeutic programs, the center also offers foster care and educational programs for youth as well. The Family Wellness Center in La Mesa recently received a $220,000 grant from the Price Philanthropy Foundation that will allow the center to provide enhanced evidence-based therapeutic services by utilizing new methodology to expand the program for mental, behavioral, and emotionally challenged youth. Moises Baron, CEO of the San Diego Center for Children, explained that this grant will allow the center to broaden the scope of care to work with the individual needs of families. Rather than simply looking at the needs of only the child with the disorder, the center properly assesses more diverse needs such as what assistance families might need financially, and also the needs of any siblings in the family as well. The center is also assessing these aspects of the families prior to each intervention as well as after to determine any further steps needed to move forward with this approach. 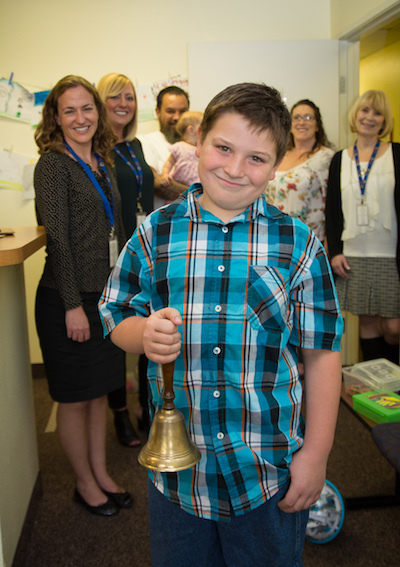 After only three years since it was opened, the Family Wellness Center in La Mesa is the only program within the San Diego Center for Children that is currently offering the new methodological approach to its therapeutic programs. Although the center is planning on implementing that approach in all of its eight programs, La Mesa is currently the only community with access to the new methodology in the entire San Diego County. The San Diego Center for Children accepts most types of insurance and also offers a reduced fee in order to ensure the appropriate access families need for their children to thrive. If you are interested in more information about the San Diego Center for Children, please visit centerforchildren.org or call 858-277-9550. —Cassandra Penalver is a freelance writer living in San Diego. Reach her at cassie.penalver@gmail.com.